Ozone, reactive oxygen species, nitric oxide in adaptation, pathogenesis and sanogenesis. Oxidative stress. High intensive physical factors in restorative medicine. Organizational and technical problems of ozone therapy in medicine. Abstracts may be written in English (1 page — Arial, 12 pt, one-spaced). Authors of accepted abstracts can offered a oral or poster presentation. Abstracts will be published in special issue of «Revista Espanola de Ozonoterapia» (SJIF=3.952) and «Bioradicals and Antioxidants» Journals. 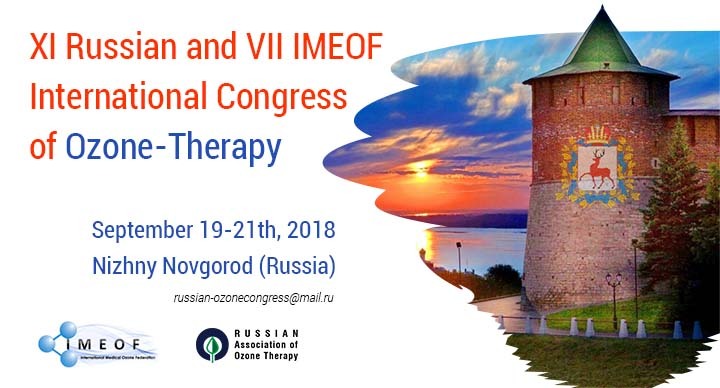 You are welcome on our Conference in Nizhny Novgorod (Russia)! Is it possible to treat the biofilm bacterial infection with ozone?